We are committed to a very high standard of workmanship and customer satisfaction. 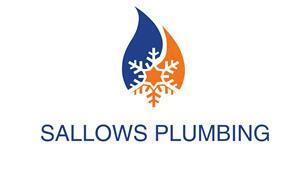 At Sallows Plumbing we offer a full range of services from basic plumbing repairs such as leaking taps ranging up to the most challenging of jobs such as Boiler insulations. Please contact us on 07946 298660 for friendly advice or to obtain a free, written quotation. Our reputation is our guarantee of excellence.